THE DEVELOPMENT The beautiful Hendon Hall is an elegant eighteenth century country house surrounded by elegant terraced gardens in north London. 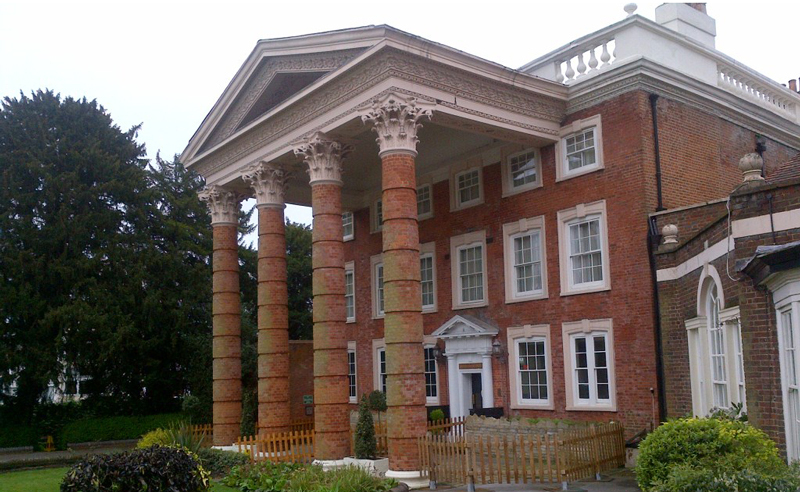 When the grand Hendon Hall Hotel was undertaking restoration work on the outside of the historic building whilst remaining open to guests, the client understood that fully the importance of maintaining a strong impression when visitors approached the building. 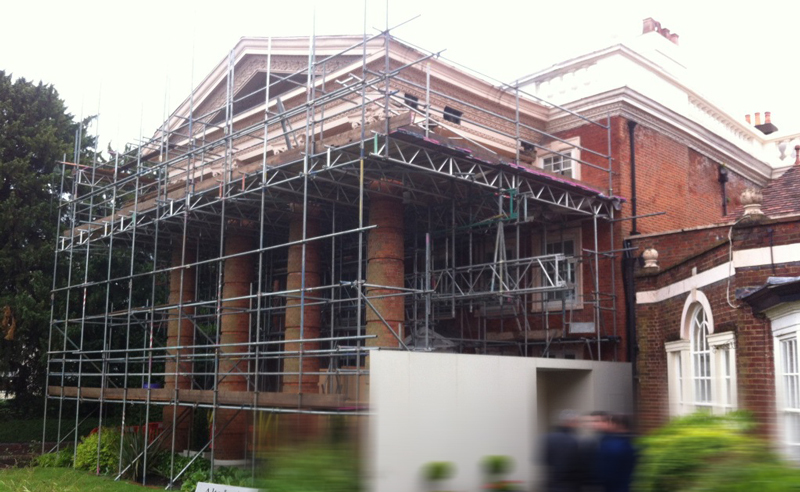 THE BREIF With such a well-regarded, historic building our client had to make sure visitors were not left disappointed when they arrived at the hotel, and to not give the appearance of a building site whilst the restoration work was taking place on the façade. Our brief was to maintain the identity of the building and hide all of the unsightly works from view for the duration of the restorations. 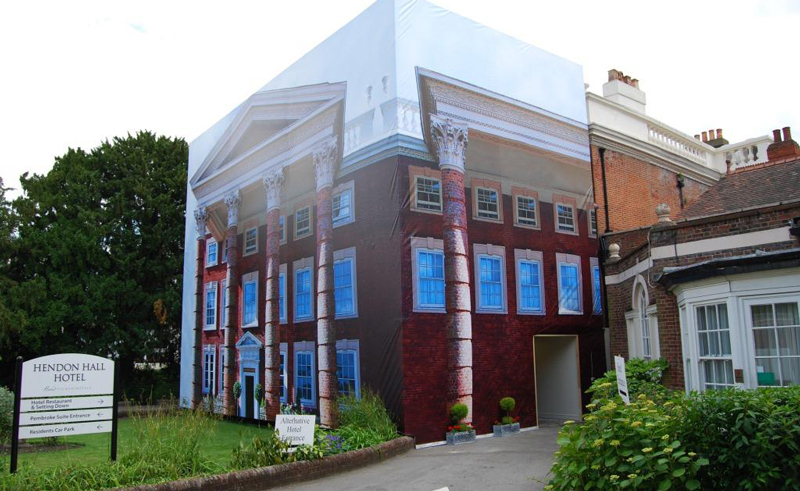 THE SOLUTION Embrace Building Wraps were brought on board to disguise the works. 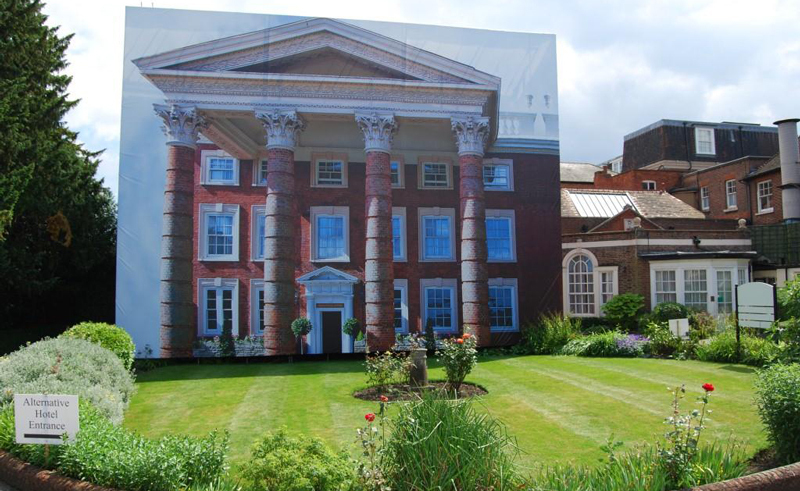 We produced an exact one-to-one scaffold banner that featured the image of the front and side of the building, which were both visible when approaching the hotel. This type of wrap is always a delight, as it is a real vote of confidence when visitors report that they did not even realise that works were going on, and are impressed by the accuracy of the wrap in place.  You can rely on Embrace too – following our initial survey of the site we lock in the price with our client and never charge more. We guarantee it. Such is our confidence in our comprehensive checks and expert teams. 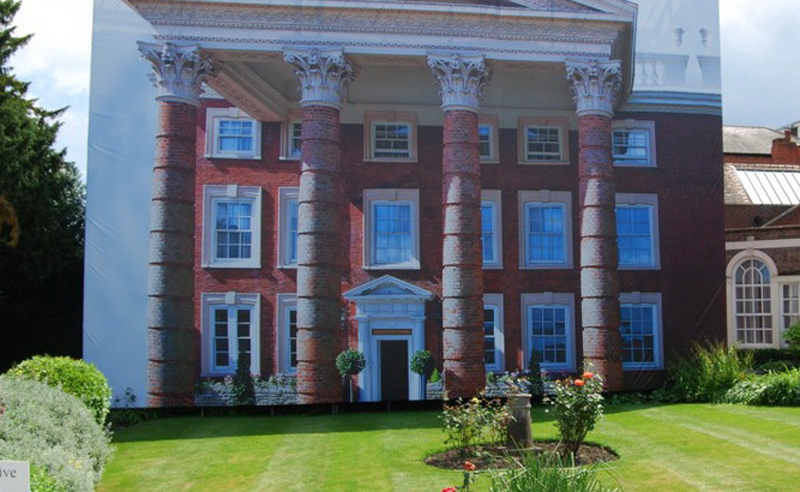 We develop, print and install this type of one-to-one image wrap frequently when our clients are restoring or re-developing buildings. We have completed numerous similar projects at prestigious locations such as Witanhurst in Highgate and Old Palace Yard, next to the House of Lords in central London.